Great location in Richlawn!! 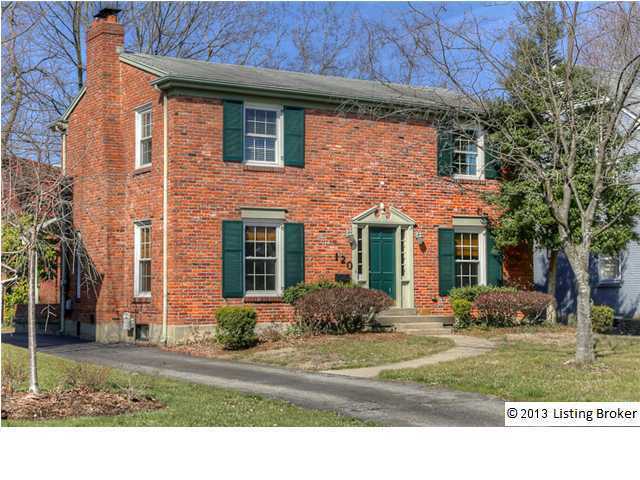 2 story center hall brick colonial on quiet street. Large living room with fireplace,formal dining room, galley kitchen with marble countertops and stainless steel appliances opens to family room. Covered porch overlooks private rear yard. Upstairs are two full baths and three bedrooms, a half bath is located on first level. Full basement could easily be finished for additional living space. , Louisville KY 40207 is a Home, with 3 bedrooms which is recently sold, it has 2,336 sqft, 0 sized lot, and 1 Car Garage,Detached,Entry Front parking. A comparable Home, has 3 bedrooms and 1.5 baths, it was built in and is located at 218 N Hubbards Ln Louisville KY 40207 and for sale by its owner at $ 209,000. This home is located in the city of Louisville , in zip code 40207, this Jefferson County Home, it is in the RICHLAWN Subdivision, and St Matthews are nearby neighborhoods.